It gets light so early that it’s hard to stay asleep past 6am. We began the day with a test of both bikes and legs by riding up Petrin Hill, a steep climb through an orchard of cherry and pear trees to the top where there is a monastery and a scaled down replica of the Eiffel Tower that you can climb for a view of the city. But we were too early. Back on the bank of the Vltava in a park we found three David Czerny babies. Czerny is a renowned Czech sculptor and the babies are large crawling figures without facial features. Below on the river is a row of yellow plastic penguins better seen at night when they are illuminated. 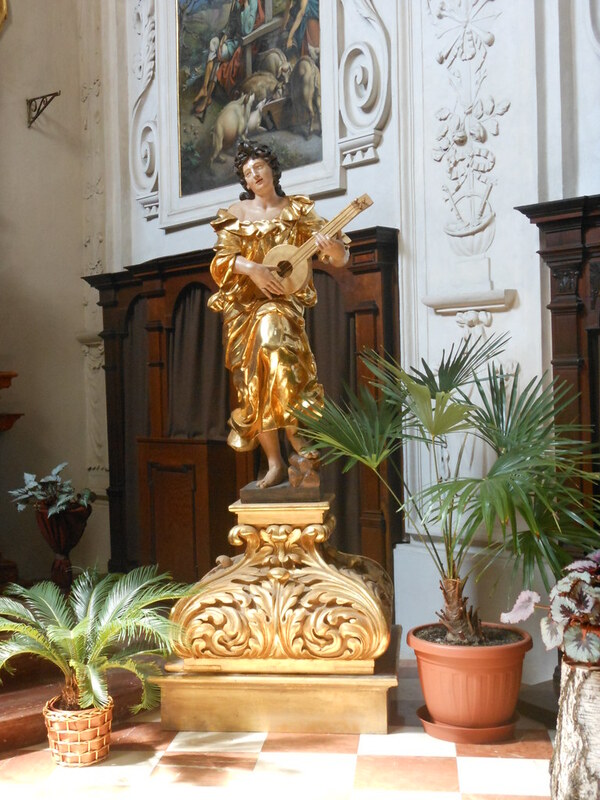 Our program included well-known Prague locations: Frank Gehry building – pretty curvy; Wenceslas Square – lots of political stuff there mixed in with tour groups; Charles Square where we admired the interior of St Ignatius church including a gilded figure playing a 3 string banjolele. Well that’s what I say it is. 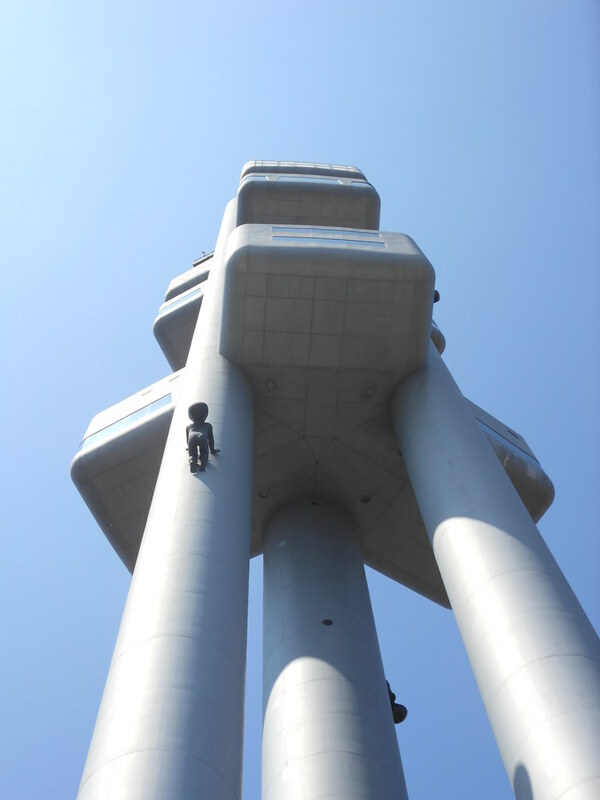 Then another ascent to the Zizkov Tower, a telecommunications tower that dominates the Prague skyline and has David Czerny babies climbing all over it. At the bottom is a Jewish cemetery. We saw a woman on a Vitamin D quest. She was absorbing sunlight in a public place with a minimum of clothing. We went to the National Technical Museum located high above the river and admired historical machinery therein. Then a rest with pivo (beer) in the shaded gardens and a stop at the Metronome, an installation overlooking the river and city. It really is a giant metronome! Today was hot again so siesta was needed. We took an evening ride on the funicular to Petrin Hill and dined outdoors with beautiful view of Prague below. Another thunder storm with rain has arrived. This entry was posted on 6 July 2012 at 3:06 pm and is filed under Czech Republic. You can follow any responses to this entry through the RSS 2.0 feed. You can leave a response, or trackback from your own site.